10,318 sq. ft. of multi-functional office/warehouse property for sale. 6,155 sq.ft. 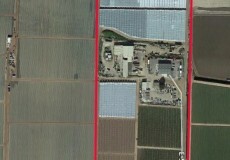 of the property is free span warehouse (Split 3,775 sq. ft/2,380 sq. ft.). 4,163 sq.ft. of the property is showroom/offices (Lower 2,685 sq. ft., Upper 1,478 sq. ft.). The subject property is of high-quality construction and is ocean facing on the corner of Main and Hill Streets in Morro Bay. Property has many notable features such as high ceilings and grade level roll-up doors in the workspace/warehouses areas, second-floor outside open deck area, and fourteen off-street parking spaces. The configuration allows for multiple occupancies with opportunities for excellent signage. Zoning is Mixed Commercial/Residential, City of Morro Bay. For Sale or Lease, Price Reduction! Price reduced on 1,650 sq. ft. office condominium that is available for sale or lease. Suite is designed to operate as a single suite, or it can be used as two suites. Easy access and close to US 101 and Marian Health Center. Suite has street signage and ample shared parking. $319,000 OR $1.25/sq. ft., NNN. The subject property has a mix of new and older buildings all suitable for industry and agricultural applications. This asset is located in the Area 9 planning area and has 4 major valuation components: Open ground presently leased, a free standing Industrial building with paved secure yard, a former cooler/warehouse and a Ranch Office/Residence with large shed. Split zoning between M1 and HCM AG zoning. Current income, please call. Total acreage +/- 29 acres.